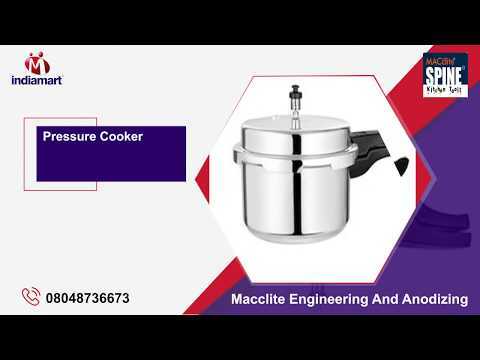 At MACclite, we strive to be the most innovative and value driven Manufacturer & Exporter of Aluminium Mirror Finish, Anodized, Hard Anodized, Non Stick, Stainless Steel Cookware, Pressure Cooker & LPG Stoves. We would introduce our self as a manufacturing company incorporated in the year 1978 engaged in producing and exporting Houseware and Kitchenware Products. Our factories are located in the Southern province of India in the state of Karnataka at Bangalore. From Aluminum to Stainless Steel cookware, Non-stick to Hard Anodized cookware, Pressure Cooker to LPG stove, A wide range of Houseware and Kitchenware products manufactured and catered Globally. By giving utmost emphasis over the products excellence, we have been able to make defect free shipment of assortment at our client place. In addition, we also export 30% of our products to gulf countries, Canada, Mexico, Europe, Australia.